Greg Malcolm and Chad Mossholder have always been situated at the most experimental end of Ghostly International's roster, and although thanks to appearances on releases like the SMM series and the label's Idol Tryouts Two compilation they've seemed to be reasonably active in recent times, it's actually taken the duo a full five years to actually get round to penning a follow up album to their eponymous debut. Cranes vocalist Alison Shaw makes appearances on Violets, sounding positively ethereal on miniatures like 'From Memory' and the closing 'Something Like Eternity'. Twine are notable for fusing guitar timbres with abstract digital treatments, and it all fits in with the icy, electronic aesthetic (seriously though, is Fennesz the only electronic musician who knows how to properly record an electric guitar?) 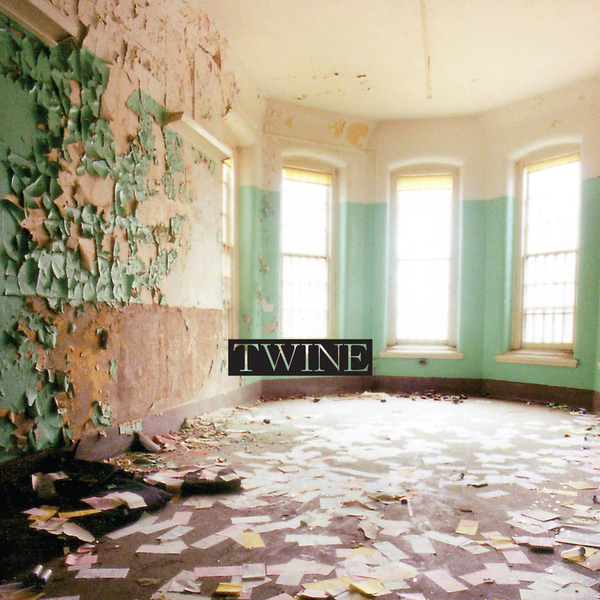 At their most successful Twine establish deeply atmospheric radioscapes like 'In Through The Devices', made up of processed instruments, electrostatic noise and vocal recordings that keep tuning in and out of the mix. In fact, vocals play a big part on Violets, with what sounds like a child's singing casting eerie shadows over 'Endormine'. The duo might be said to provide a clarified, more sanitary take on the tangled junction of audio sources offered up by the likes of Tim Hecker - there's a similar meeting between melody and abstraction, electronics and instruments, etc - and fans of those grey areas between electronic music and more humanised sounds could do worse than investigate Twine's haunted circuitry. Excellent.